Here's one puzzle we solved this week: CAR magazine's art editor Matt Tarrant spotted this camouflaged prototype on manoeuvres as he drove down to the 2015 Le Mans 24 hours. 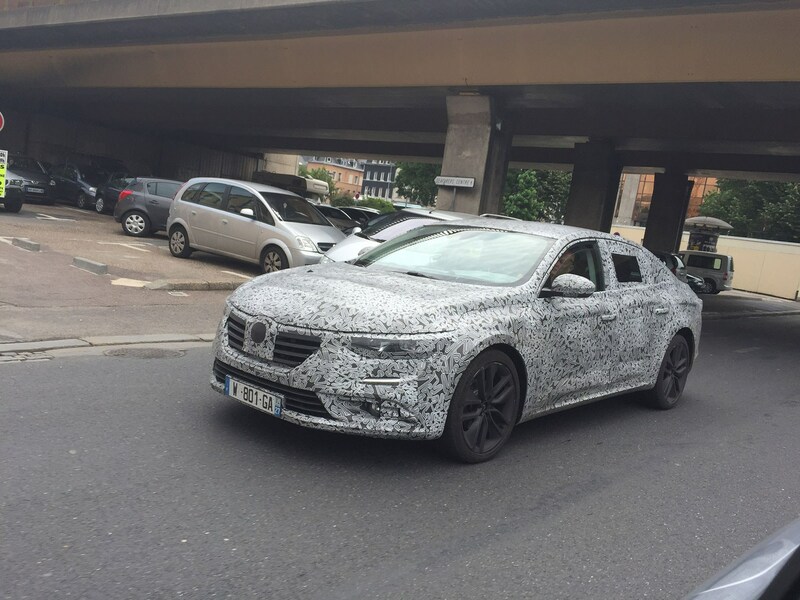 We now know this was the new 2015 Renault Talisman, the French firm's replacement for the Laguna. At the time this was unclear to Matt, who spied it as he drove through Rouen on his way from the Eurotunnel to La Sarthe. It was one of two Talismans (or is that Talismen?) driving in convoy. Indeed it does. It's now clear to see how the retro-effect disguise cleverly masked the huge Renault diamond badge dominating the snout, and make out the Teutonic high flanks along the side. With hindsight, we can also make out the J-shaped driving lamps poking through, bisecting the front bumper. The Talisman will not be produced in right-hand drive, precluding it from sale in the UK and Ireland. Instead, it accompanies the new - equally left-hand drive only - Espace, as part of a concerted effort to offer a more premium choice at the top of its range. Click here for our guide to secret prototype camouflage.